Charlotte Holmes is back in this riveting tale that pits her against the infamous Moriarty. However, those are not the only challenges she faces as she wrestles with the fact that her illegitimate half-brother might be the key to defeating Moriarty, but at what risk? While Charlotte and Watson handle the mystery and intrigue, those around them are put into terrible danger. Can Charlotte win this chess match with finding her brother, or will he be another nameless corpse on the streets of London? 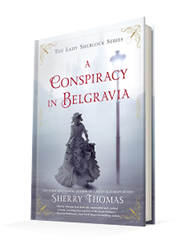 Published September 5, 2017, by Berkley Books A Conspiracy in Belgravia By Sherry Thomas is the second book in the Lady Sherlock series that takes an exciting twist on the Sherlock Holmes lore. A Conspiracy in Belgravia brings back Charlotte Holmes as she tries to solve yet another mystery. Charlotte is a great character and is very different from the standard interpretations of Sherlock Holmes. Now, this is not just because she is a woman, it is also because of how detached her character operates in the world. Maybe Sherlock has always been like that, but here, Thomas makes it even more prominent because as a woman she is supposed to act in a certain way, but again, she breaks away from that, refusing to conform to the societal norms of this time. What also makes Charlotte so great is her appetite. Whether or not she is thin or curvy, the reader does not know because Thomas does not use that to describe her figure, she leaves it up to the reader to decide which is excellent. The lack of description engages the reader and female readers. Moreover, her propensity towards sweets, it is charming. Not only it is lovely, but it also makes her connect to the reader. Now, characters aside, there is the story. As with any Sherlock Holmes type story, this is first and foremost a mystery. Mysteries tend to be difficult to review because there is always that risk of revealing too much of the story. However, again, there are various mysteries int eh novel, and amazingly, Thomas manages to tie them together quite effortlessly. 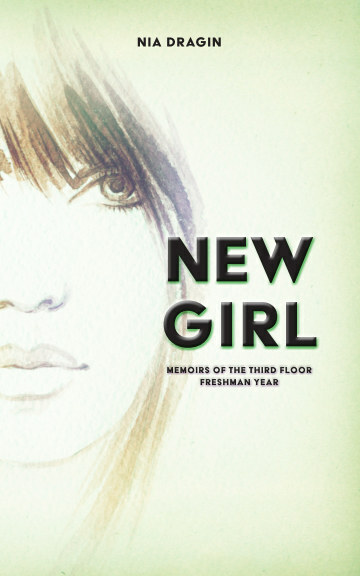 The pace is quicker than the previous book because there is no need to build history or the world, so the author has the chance to focus on the mysteries and the convoluted storytelling in a way that makes it resonate with the reader without losing them. However, once again this is a novel that should be read instead of listened to. When reading, the story gets a chance to sink in, the details are not lost in the pace of the storytelling, whereas with the audiobook, the speed is so quickly that once again, it is disorienting. The scene changes blend, and the listener is forced to play catchup to grasp what is happening in the story. The mysteries are just too complex to be listened to unless one is in a room without any distractions. Otherwise, the book is the best way to go to appreciate the complexities of this novel.